Seventeen-year-old Billie Eilish is the first person born after 2000 to have an album at the top of the charts. Billboard also reports that the artist has had the second-biggest opening of 2019, next only to Ariana Grande's Thank U, Next. On Saturday night at Coachella, she showed the audience exactly why she deserved to perform at a prime spot at the music festival, and why she's not just some overhyped artist. Diehard fans, as well as curious festival-goers, camped out for the artist way before her set time. A crowd quickly began to form, and even spilled over from Outdoor Theatre stage to the festival's main stage, which was space meant for Coachella day two headliners Tame Impala. And though Eilish was 20 minutes late to her set, the crowd did not wane. The singer-songwriter performed all her hit songs from her recently-released debut album, When We All Fall Asleep, Where Do We Go?, kicking it off with "Bad Guy." A lot of the whole set had high energy, especially for "My Strange Addiction" and "idontwannabeyouanymore," but there were definitely some slow ballads in the mix, including "Ocean Eyes." 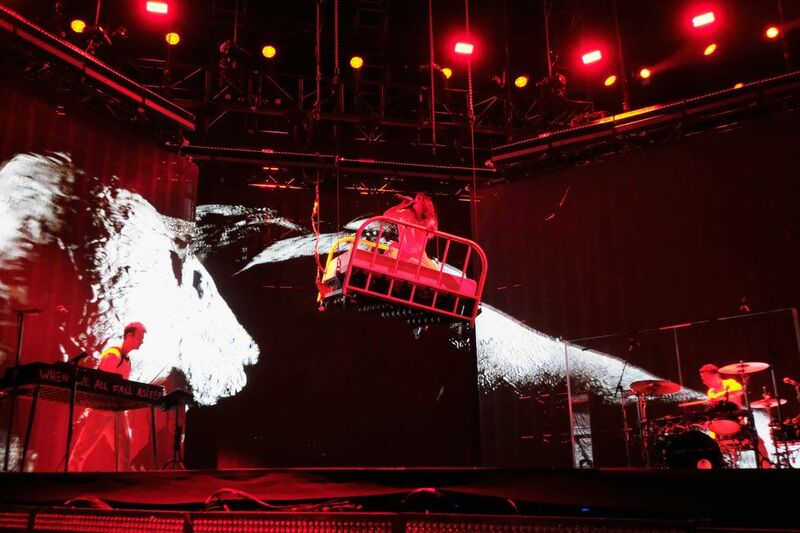 For part of her performance, she was also chilling out on a suspended bed, singing "Bury A Friend." Throughout everything, fans were singing with her, following the lyrics word-for-word. "I don't deserve this at all," she later told the crowd. And nearing the end of her set, she said, "I just want us all to be in the moment."